A film about the untold story of three black women who were the hidden brains behind the NASA spaceship launch in the 1960s. Taraji P Henson, Octavia Spencer and Janelle Monae played the iconic roles in Hidden Figures. The Oscar-nominated film, directed by Theodore Melfi, focuses on the backbone of NASA’s plans to launch into space and it involves the three African American “hidden figures” who were the mathematical geniuses in the pre-computer age. The biographical drama, set during the hectic months leading to John Glenn’s 1962 space launch, carefully approaches the issue of racial segregation without vulgar statements or derogatory language. It sends a powerful message about the evils of racism as they show how black people were forced to use different toilets than whites in the 1960s. Melfi successfully captured the daily struggles of racism and the unwritten rules directed towards women. “You can happily walk or you can sit at the back of the bus.” This was just some of the ways Melfi used witty humour to lighten the serious tone of the film. From her feisty cookie monster role in FOX’s Empire, to a more solemn and sophisticated part, Taraji P Henson takes on the character of Katherine Goble Johnson. Johnson was the main brains of the spaceship. 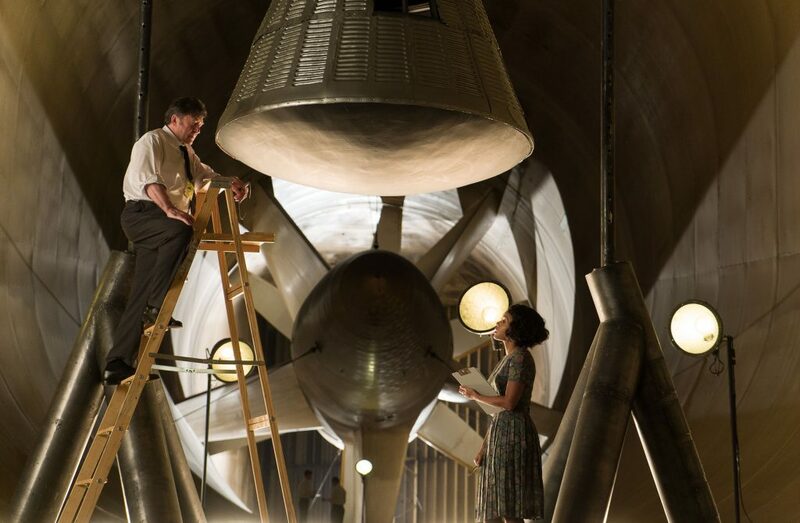 Ironically, Taraji failed maths in university, in real life, but she plays one hell of a good astronaut scientist. As the real star of the show, Taraji effortlessly fights for diversity while defying all odds in this movie. 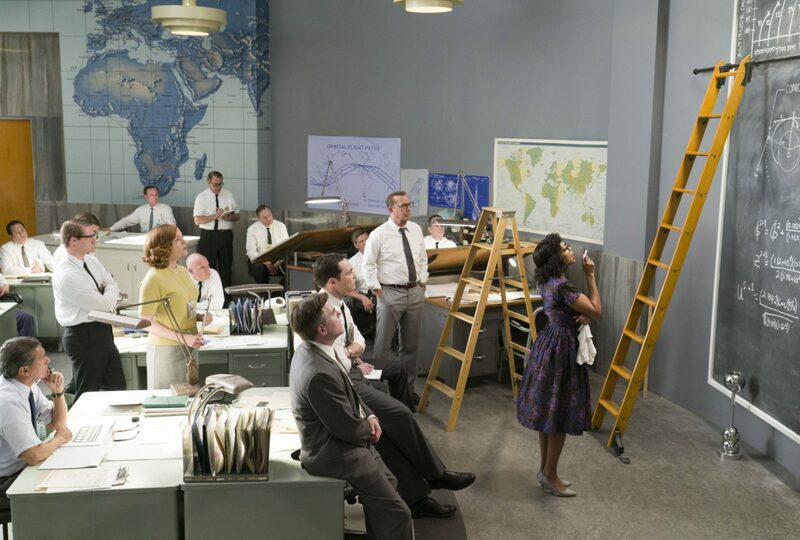 While Katherine is the protagonist of this tale, Octavia Spencer plays Dorothy Vaughan, who is working to be the first black female supervisor at NASA. The last of the trio, Janelle Monae, who is a singer in real life, plays Mary Jackson who aspires to become an engineer. While watching this film, it seems that Janelle’s drastic career change from the music studio was worth it. In a very character-driven story, all three characters stand out and show us awe-inspiring dedication to their jobs while overcoming racial obstacles. Jim Parsons, who plays Sheldon in The Big Bang Theory, is one of the supporting roles in the film as he plays Paul Stafford, the head engineer in STG aerospace. You would think Parsons would bring his awkward sense of humour to the new role, but not one hint of Sheldon came out. He portrayed the character wholeheartedly and we saw him in a new light. Despite its serious storyline, historical theme and the mathematical jargon, Hidden Figures is a great film. Cast perfectly, written in detail and portrayed flawlessly it is no wonder the film is nominated for three Oscar awards, has already won two Golden globes and a Screen Actors Guild Award. It also added some witty humour and some heart-churning moments to the mix. 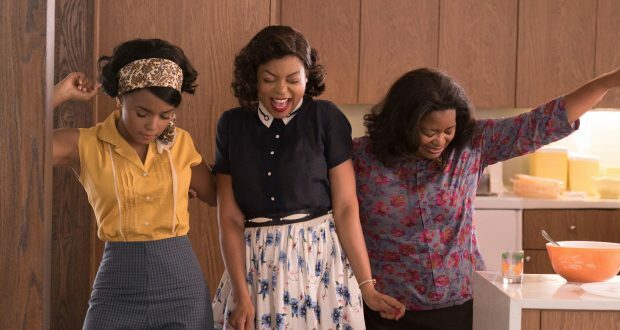 The film is a powerful tribute to the three black women who helped NASA in the 60s and if it doesn’t inspire you to get out there and make something of yourself no matter the downfalls, then I think you’ve seen the wrong film. Hidden Figures is out February 17 in UK cinemas.